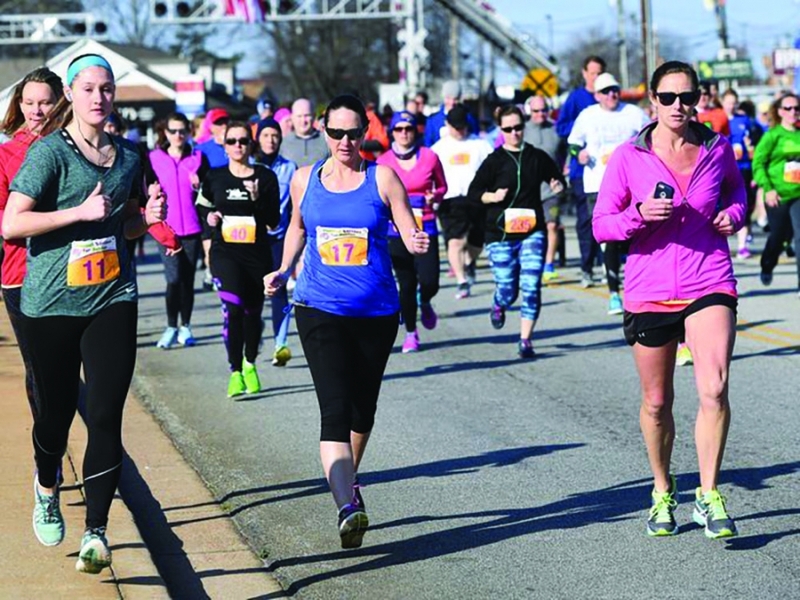 The 9th Annual Peacock STRIDES for Babies 5K race took place on Saturday, March 3rd, with more than 150 runners helping to raise funds to support research and treatment options to combat Sudden Infant Death Syndrome (SIDS). Race results have been made available online, while medals were awarded directly following the race. The overall winners for men were Dennis Funk in third place; Zackery Carver in second; and Jonathan Fenske in first place. For women’s overall placement, Marcia Simmons placed third; Tara Ann Garrett second; and McKenzie Amacher placed first. Organized by Matthew and Jodi Ware, whose daughter Emily “Peacock” Ware passed away suddenly before the age of 1, this race has raised over $150,000 since it began in 2009. The City of Mauldin’s Recreation Department plays a large role in assisting the Wares with this wonderful event.